Not long ago, the Hualapai Tribe in northwest Arizona was faced with a waiting list of 84 families that needed homes. The list had been in the making for five years and due to a reduction in Indian Housing Block Grant funds, housing development on the Hualapai Reservation had stalled. But in November 2017, the Hualapai Tribe broke ground on three model homes to be built in the Box Canyon subdivision. The Tribe will ultimately build 60 new homes there; the list of 84 families was refined and pared down to 59. Plans for the subdivision now include walking and bike trails, access to public transportation, renewable energy technology and garden plots. 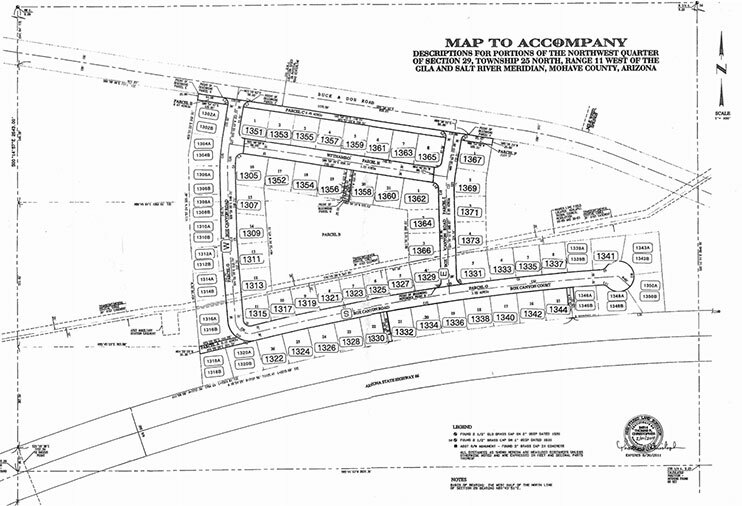 This is the site plan for a subdivision in Box Canyon, Arizona, where the Hualapai Tribe broke ground in November 2017 on three model homes. Eventually 60 new homes will be built here. 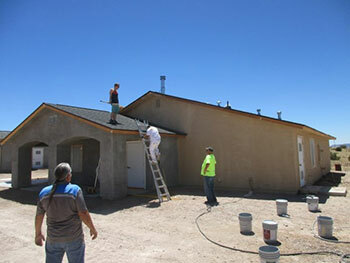 The Hualapai was among seven Tribes and Native Villages that graduated from the Tribal Housing Excellence (THE) Academy. 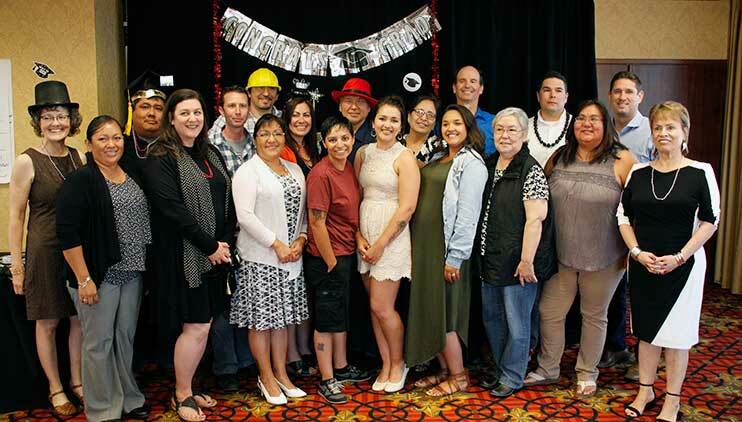 In June, at THE Academy graduation, they gathered to both compare their challenges in bringing affordable housing to Tribal lands, and to toast each other’s accomplishments. Until 1996, the U.S. Department of Housing and Urban Development funded housing on Tribal lands. That year, however, the Native American Housing Assistance and Self-Determination Act (NAHASDA) significantly changed the model by channeling funds into block grants that allow Tribes to craft their own approaches to developing housing for their members. While this allows for autonomy, many Tribes still struggle to meet housing needs for very low-income families, as well as workforce housing for teachers, health care workers and public safety officers. Their challenges include attracting private financing and housing expertise. In 2013, Rural Community Assistance Corporation, along with Native Capital Access (NCA), developed THE Academy. The aim is to help Tribes leverage historically underutilized resources to expand housing on Native lands. 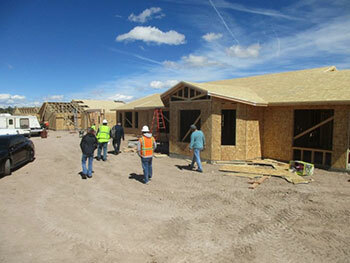 During the 30-month program, participants work on their housing projects. They also receive technical assistance and coaching from RCAC and NCA staff and consultants. So far, two cohorts of participants have graduated from THE Academy. 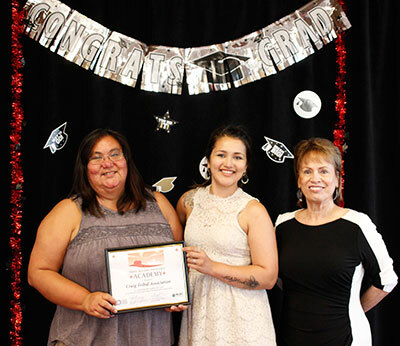 This year’s graduates, including the Hualapai, are: the Cheyenne River Housing Authority; Craig Tribal Association; Northern Circle Indian Housing Authority; Native Village of Barrow; Pueblo of Zia; and the Puyallup Tribal Housing Department. “THE Academy has assisted the Craig Tribal Housing Department tremendously,” said Kari Mackie, Craig’s housing coordinator. She addressed her fellow THE Academy participants at the graduation ceremony in Sacramento on June 29. In her closing presentation she updated the group on the Tribe’s 16-home project in Craig, Alaska, and Mackie noted the challenge of building in her state in general, such as acquiring materials and a frigid climate. THE Academy, she said, had helped her and the Tribe with, among other skills, market analysis, appraisals, procurement, funding sources and construction phases. During the class, participants discussed the complicated organizational structures used for tax credit financing, and they used some hats to demonstrate the “many hats” a tribal housing agency might wear. There is hat for the tribal housing department, a hat for the outside tax credit investor, and a hat for the Limited Partnership formed between those two entities. In addition there could be a hat for the housing department construction arm, and so on. Later the participants supplemented the training hats with silly graduation hats and tiaras for the graduation celebration. There is a mix of both in the group photo.